The water resources ministry is working on a national river Ganga bill to protect the river from pollution and degeneration. 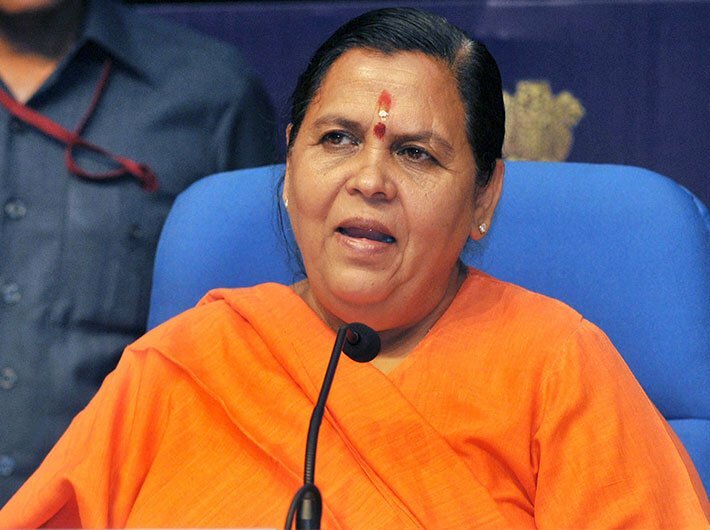 Addressing the media on Monday, union minister for water resources, river development and Ganga rejuvenation Uma Bharti said that she is excited about the bill. If all goes according to the plans of the ministry, the Ganga will be the first river in the country to be protected by an exclusive law. “Even when I was not a cabinet minister, I was very excited about this proposed law, and I am sure most of the problems facing the Ganga can be solved with the help of it,” she said. A committee led by justice (retired) Giridhar Malviya was constituted last year to prepare the draft law. In April this year, it submitted its report to the ministry. The proposed bill is expected to address critical issues like cleanliness and uninterrupted flow of the river. The committee has recommended certain stricter provisions to increase accountability and responsibility for use of resources made available by the river. “The ministry is reviewing the draft bill. We will let you know the provisions after the review,” the minister said. Referring to illegal workshops and industries along the banks of the Ganga and unauthorised sewage flowing into it, the minister said she was always in favour of an additional manual review and thus a team approximately 200 young engineers is collecting bio-technical data from along the entire course of the river and submit an extensive report to the ministry. These reports are likely to be available by September. Meanwhile, the ministry officials may meet Uttar Pradesh government to talk on the possibility of shifting tanneries of Kanpur. National Mission for Clean Ganga director general UP Singh said nearly all sewage treatment plants (STPs) on the banks of the river would be made functional in coming months. Besides, approximately 11.04 lakh individual househol toilets have been built in villages near Ganga. 4,076 villages have been declared open defecation free. The ministry claims that there has been a continuous improvement int he water qualities in the tributaries of Ganga before confluence. The dissolved oxygen level and BoD level of the water has increased and decreased respectively in rivers Dahela, Bahela, Kosi and Ramganga. Briefing media on other works undertaken by her ministry in the last three years, she said that the Ken-Betwa river interlinking project was also in the priority. She said the project might take off in next two months and will benefit 13.42 lakh drought-hit people of Bundelkhand region in Uttar Pradesh and Madhya Pradesh. “I believe this project will change the face of the drought-hit region completely,” she said. Bharti also said that her ministry has spent Rs 184 crore on the protection of Majuli island –the largest habituated river island in the world – from floods and erosion. A project amounting to Rs 237 crore has been sanctioned for various protection and conservation works on the island. Under the ‘Har Khet ko Pani’ and ‘More Crop Per Drop’ schemes, 22 projects of Maharashtra, six from Odisha and 17 of Madhya Pradesh have been put on fast track. Once completed, the projects are expected to irrigate more than 14 lakh hectares of land.